WIN TWO DOZEN DONUTS AND A $25 COFFEE GIFT CARD! 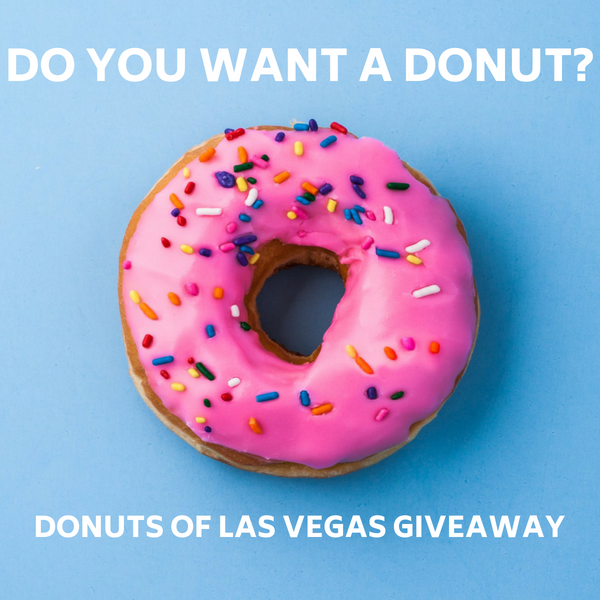 In our FREE to enter September prize draw, one lucky winner will win 2 dozen delicious donuts and a $25 coffee card from Donuts Of Las Vegas Giveaway! The prize draw is totally free to enter and all you have to do is type your first name and email address below and click the ‘YES!’ button. When the prize draw closes on September 30th, one lucky entry will be drawn at random and will win the prize. When you enter you will also be subscribed to the DONUTS OF LAS VEGAS email newsletter which includes news and special offers from DONUTS OF LAS VEGAS/CHEFS OF LAS VEGAS. Your email address is never shared with anyone else and you can unsubscribe at any time. You are not guaranteed to win a prize and your chance of winning is dependent on the total number of eligible entries received.